Socket S800 - 1D Linear Imager, Cordless - Bluetooth. Color: Black. Works with Apple iOS (iPad, iPhone, iPod) and Android. 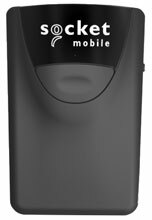 The S800 from Socket Mobile is a 1D imager barcode scanner with Bluetooth wireless technology. 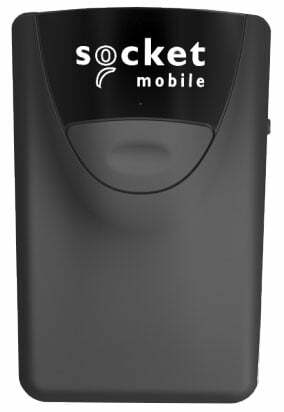 The small, thin and easy to use scanner is optimized for attaching to mobile devices and enabling one-handed operations. Capable of scanning barcodes printed on labels or displayed on device screens and can read virtually all 1D barcodes. Best suited for retail point of sale, inventory management, sales order entry, field service, and other mobile business applications. Klip Case, Antimicrobial, Black, Compatible with Socket CHS 8Ci and Apple iPod Touch 5. The Socket CX2881-1476 is also known as SOC-CX2881-1476	or CX28811476	.